The development is situated in south east England, east of Royal Tunbridge Wells and to the north of Sissinghurst village centre. It is a single field of approximately 3.56 hectares and is situated on the northern edge of Sissinghurst. The surrounding context includes a pair of grade II listed cottages known as Carpenter’s Corner. Originally a farmhouse and later a coffin workshop, these cottages are a timber-framed building with chequered brick cladding and tile-hanging to the first floor. These listed cottages share a boundary with the site in its north-west corner. 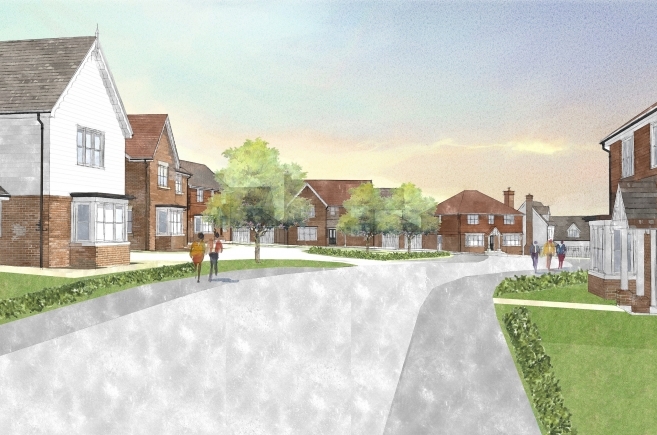 Following the approval of the outline application, together with Countryside Properties all matters reserved was granted by Tunbridge Wells for 60 new homes. 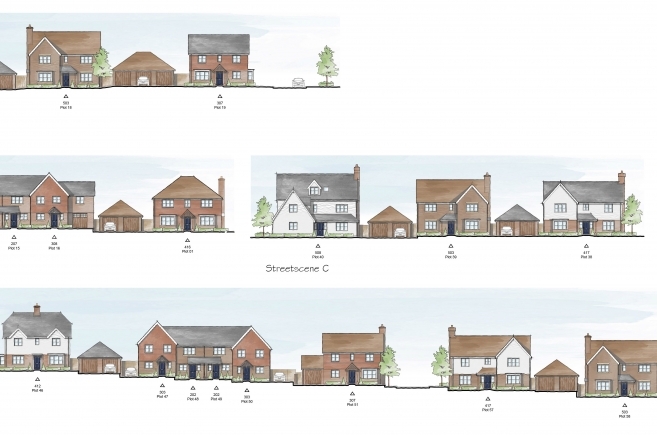 This includes a mix of 2-5 bed dwellings and 1 & 2 bed flats ranging from 2 to 3 storeys in height. The traditional vernacular of the development integrates well with its surrounding context and the prominent use of traditional Kent tile hanging and detailing. Active frontages throughout not only ensures the site is outward facing, allowing safe and green routes around the site for pedestrians, this also allows wildlife and ecological corridors to be seen and appreciated. 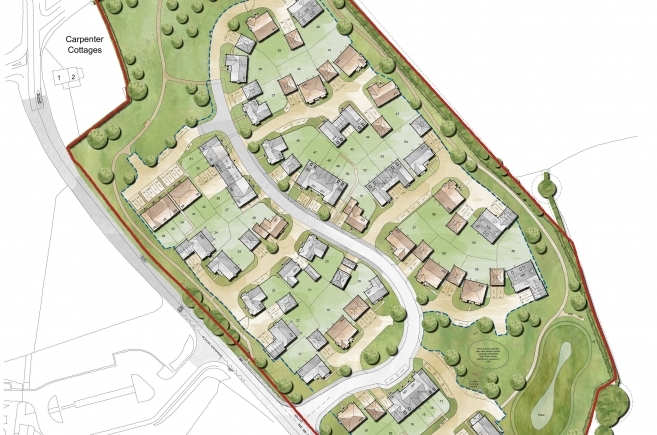 The layout design not only reflects the principles established in the approved outline, it has evolved to build upon those principles to create a well-designed scheme that draws upon the local context and vernacular to create a true sense of place.